The New Orleans Jazz and Heritage Festival (Jazz Fest) will be happening April 27 – 29. 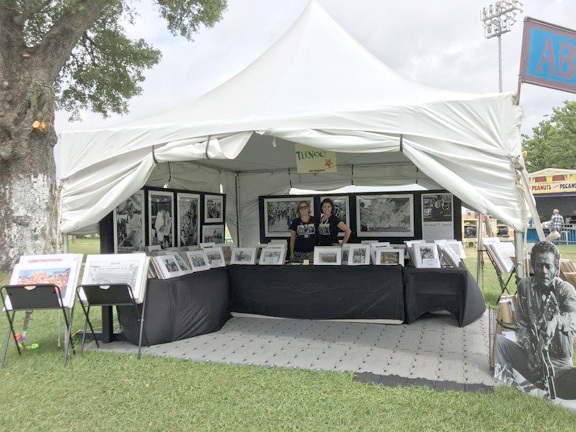 The Historic New Orleans Collection is setting up their tent at the festival and offering RequestAPrint reproductions from the Michael P. Smith collection of historical Jazz Fest photographs. The display features large framed prints and several informational panels produced on our Print N’ Stick material, You can also search their collection and order your prints at RequestAPrint.net.